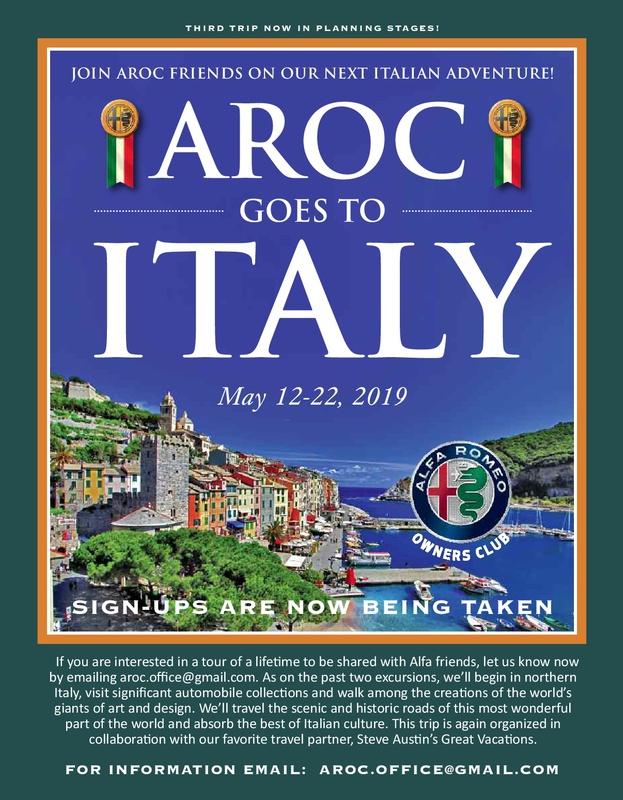 May (2020) – AROC National – 4th Annual AROC Goes to Italy Tour. Contact Cindy Banzer at c.banzer@aroc-usa.org for details. Join us in May 2020 for our 4th annual fabulous visit to Italy! We anticipate that registration and deposit should be received by October 1, 2019. The fully refundable deposit of $1,000 per person is necessary to hold the reservation, and guarantee the pricing as well. The reservation would be cancelable with full refund of deposit until TBA. Pricing has been fixed at TBA per person, double occupancy.